Good value blank DVD's. These have proved to be reliable and good quality. Check out the reviews from satisfied customers on Amazon. 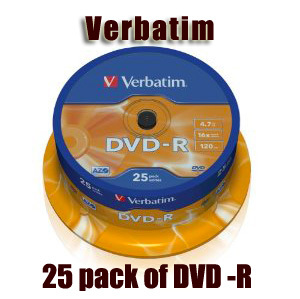 After using 25 of these, I ordered 50 Imation DVD-R, only to discover that the very first one - on (fast forward) checking! 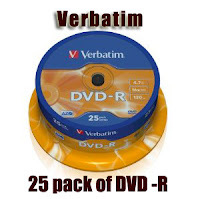 - had picture break-up, so I went back these Verbatim DVD-R 16x which have proved flawless on my Toshiba RD-XS32 DVD/HDD recorder. As ever, Amazon too proved flawless with their courteous and rapid communication and refund in full - top marks once again! 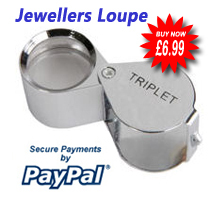 Sometimes it really does pay to check and re-check - and to purchase where there's a guarantee you know you can trust.